These days I call myself a runner...: Are Friday nights for running? After a busy day at work yesterday, I got home, had dinner and unfortunately had to spend a couple of hours cleaning and preparing for my family coming over to visit us today - could not get more dull on a Friday night but never mind...needed to be done. 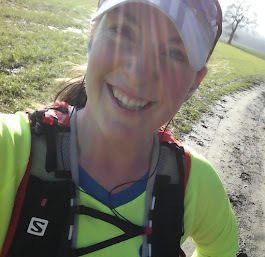 However, when I finally sat down on the sofa at about 10.15pm, I realised that I really still needed to run, to keep up with my schedule, and also because I have a half marathon on Sunday and wanted to get in a final training run before my race. I had set my alarm early that morning to try and get out before work but typically I had turned my alarm off and gone back to sleep!! So, it's Friday night at 10.20pm, I'm tired, it's raining, and I really fancy just sitting down and watching a bit of TV with Francis. There have been quite a few similar times in the past, when I slept through my early run, but when it came to making up for it in the evening I just couldn't be bothered...but this time it was different. I deliberated with myself for just a couple of minutes, before realising that my running really is much more important to me than watching a bit of TV...and it wouldn't be worth the feeling of guilt I'd have if I didn't go out...so within 10 minutes I was changed, ready, and on my way!